Summer is officially here!!! The best way to beat the scorching heat is to alter your diet. It is high time you bid adieu to oily, greasy and spicy curries and switch to invigorating drinks and seasonal veggies and fruits. You will be totally surprised by how making some healthy changes in your diet can help you stay hydrated, rejuvenated, and energized throughout the season. You can prepare scrumptious, healthy and revitalizing summer meals by simply making use of seasonal veggies and fruits, such as cucumber, lauki, squash, melons, jamuns, watermelons, pineapples, Lychees, mangoes and more. In order to stay hydrated throughout the summer season, it is important to include myriad refreshing drinks and rehydrating soups to keep up your levels of vitamins and minerals. Incorporating the fresh goodness of nature in your summer diet is a sensible choice to keep your body hydrated throughout the day. Say hello to healthy salads and light curries with hung curd, lemon, honey, and vinaigrette, and wash it all down with casks of fresh fruit juices plopped with ice cubes. You can also make delightful and succulent popsicles, fruit flavored drinks, ice creams, and sorbets to stay cool. So, are you ready to delight your taste buds with some easy, light and delicious summer recipes? 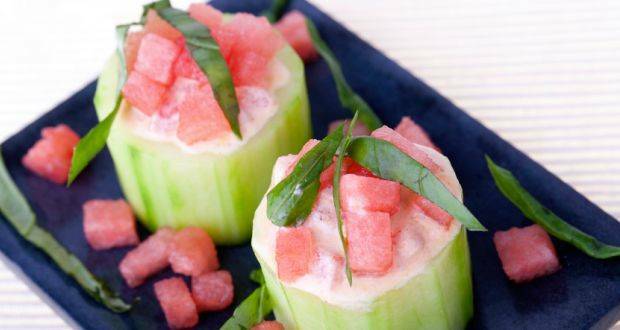 Have a look at these mouth-watering summer recipes and enjoy the season to the fullest! Bottle gourd is a green veggie that is usually not the apple of eye of many people, but with a little delectable twist, you can turn this vegetable into a fine-dining delicacy. Marinate the blanched bottle gourd in lime, garam masala powder, and chili powder and stuff with cottage cheese, cumin seeds, chopped green chilies, ginger paste, diced onions, tomatoes, and chopped coriander, before baking it for 15-20 minutes. It tastes out-of-the-world when served hot with mint chutney. 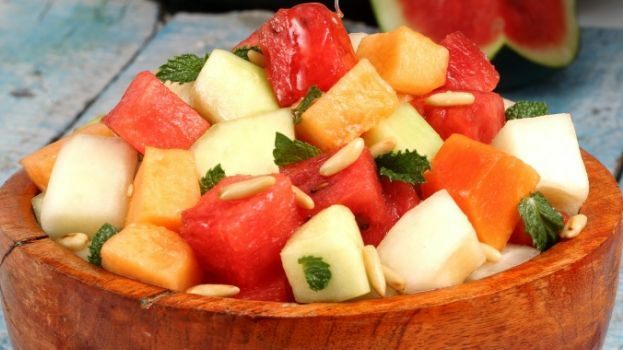 Another light yet delightful recipe that you should try in this scorching summer is a salad prepared with four types of melons, including melon, watermelon, cantaloupe, and honeydew. For the pesto, blend mint leaves, chopped ginger, honey, salt, black pepper powder, lemon juice and pine nuts together. Now drizzle this pesto over the melons and serve cold. Mangi curry is a pleasant Indian curry that you can try this summer to beat the heat. 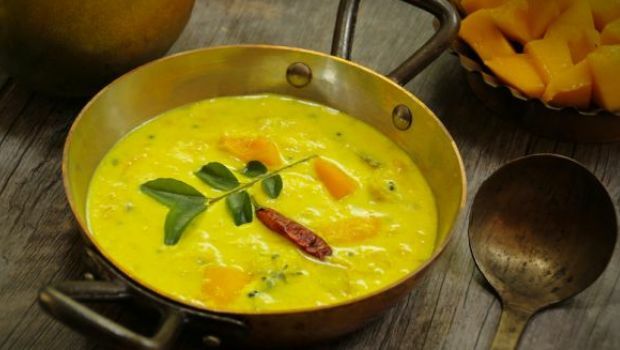 Mango curry is easy to whip up and incorporates an aromatic mix of yogurt, mango, gram flour, one pinch asafoetida, ginger paste, cumin seeds, grated jaggery, curry leaves and coconut flakes. This drink is a specialty of the Maharashtra’s Konkan region. Konkani Kokum Drink, also known as Sol Kadi, is made from Kokum or Aamsol, freshly grated coconut, a pinch of asafoetida, garlic cloves, green chilies and coriander leaves for garnishing. The best thing about this drink is that it offers a refreshing and cooling effect after eating your fill of a spicy Indian fare. It is a stellar drink to quench your thirst and kick-start digestion. 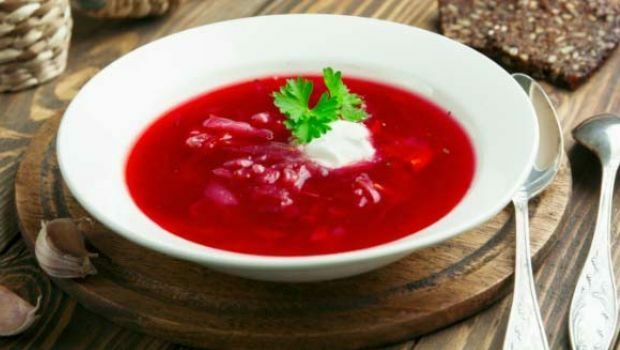 Try this easy-to-prepare and light fruit soup this summer. The secret to this spicy watermelon soup is chopped up deseeded watermelon, ginger-garlic paste, fresh mint, and chili flakes, simmered in olive oil. 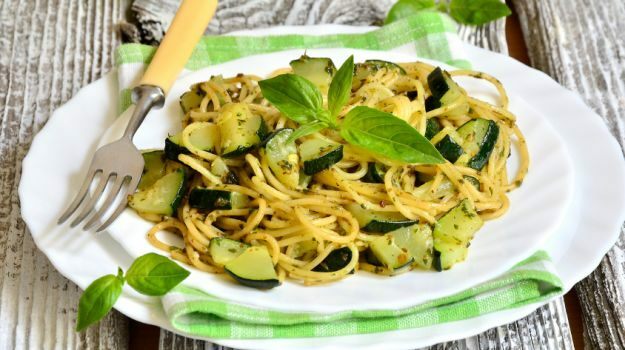 This light, healthy summer meal is prepared with yellow squash, bottle gourd, green chilies, olive oil, butter, a sprig of thyme and sage leaves, grated ginger, grated parmesan cheese, and basil leaves. Thinly shredded bottle gourd and yellow squash bear a resemblance to spaghetti, without incorporating all its heaviness. This tarty and succulent summer fruit can be devoured on its own or used to prepare yumilicious, purple-hued popsicles. 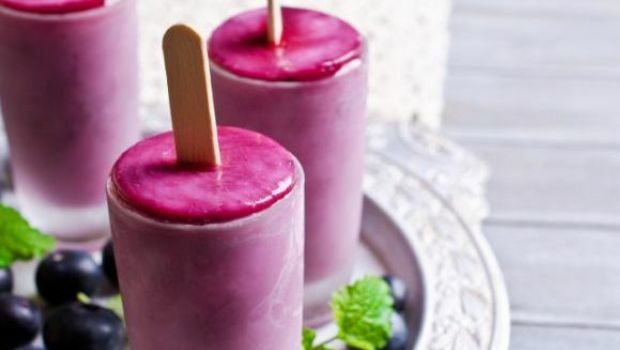 These easy to prepare popsicles incorporate deseeded jamuns, sprigs of mint, lime juice, and sugar all blended into a fine puree, before it is poured into Popsicle molds. Freeze, demold and enjoy the delicious treat. To add a desi touch, you can sprinkle some black salt or chaat masala for an added kick. This extremely healthy, quick and easy summer salad recipe will surely delight your taste buds in this hot season. 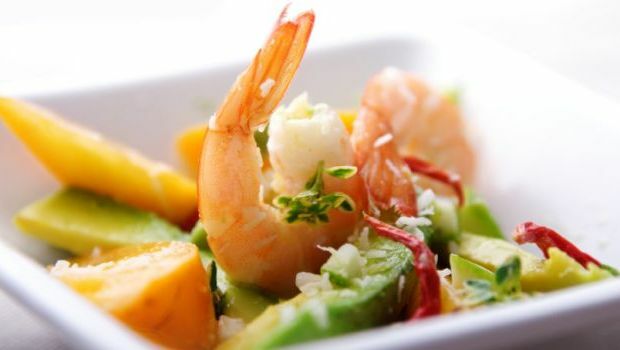 To prepare this appealing salad, you need prawns, chopped spring onions, mango flesh, and deseeded lychees, seasoned with a dressing of chili flakes, lemon juice, and olive oil tossed together, garnished with a handful of peanuts. It is a refreshing, easy to prepare summer treat that will leave your taste buds begging for more. 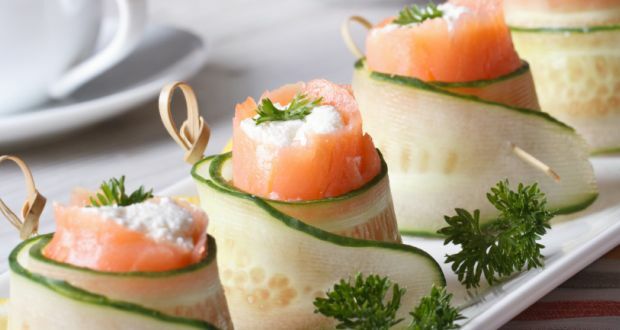 When smoked salmon, sour cream, cucumber slices, and chopped parsley are rolled together with gin, the resulting fare takes you to a gastronomic heaven! This rich and creamy summer delight is a must-try coolant to satisfy your sweet tooth and tone down the temperature of your body. 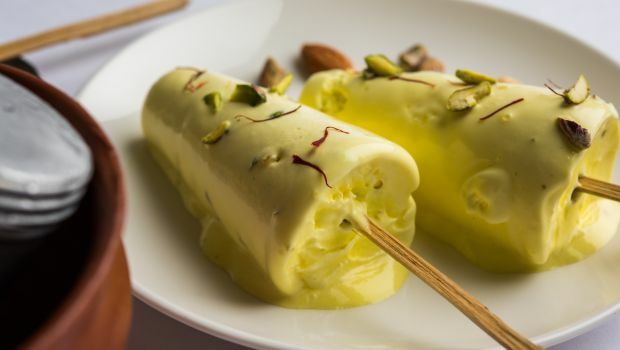 To make mango kulfi, you need sweetened condensed milk, mango pulp, and almonds-blanched and shredded. Toss all the ingredients together and pour into kulfi molds. Freeze and enjoy. 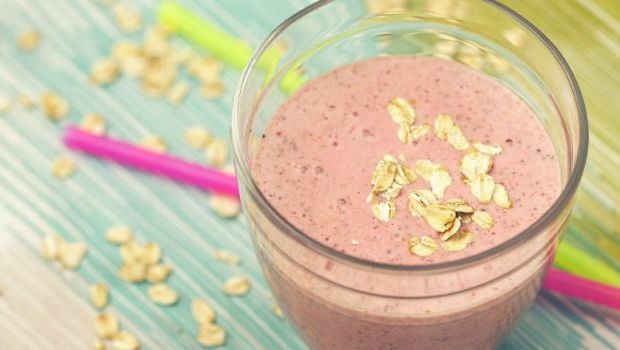 Try these delicious, easy to make and refreshing summer recipes to hydrate your body in this summer, or simply visit a desi Indian restaurant in St. Kitts to explore these cool and energizing treats.